It seems like everyone knows at least a few people who move easily between social circles and amass friends in the process. For one reason or another, there are just some people that seem to naturally become the hubs of social networks. These social mavens help bring other people together by using their “connectedness” to distribute information across the wider group. As tends to happen with most social phenomena, similar patterns replicate themselves online. Take a look through your group of Facebook friends and you’ll undoubtedly notice that some of them have impressively high numbers of online contacts. More often than not, these people also tend to be the most prolific information sharers. So, how can you effectively leverage these influencers to help propel your fundraising and awareness building efforts? We’ve broken down a couple ways you can target social media influencers to help spread your message online. To start with, let’s make a basic distinction between what we’ll call “In-Network” and “Out-of-Network” influencers. Your In-Network influencers are the people that are actually in your current social media following. These are supporters that have high numbers of friends relative to your average social media follower and/or that tend to share content more frequently. Out-of-Network influencers, as you’ve probably guessed, are social media influencers that are outside of your current following. How you define an Out-of-Network influencer is really up to you, but you’ll basically be looking for two things: (i) large numbers of followers and (ii) some connection to your work or cause. When it comes to Out of Network influencers, it’s ultimately up to you to decide who you might realistically be able to draw a response from. Depending upon your organization’s size and influence, you could be targeting anyone from local activists to A-List celebrities. A well-balanced online fundraising program will consist of a year-round rolling peer-to-peer option with anywhere from 2-4 shorter p2p campaigns layered on top throughout the year (with shorter campaigns typically lasting no more than 90 days). Each time you launch one of these shorter fundraising campaigns, you will go through a similar set of experiences as you plan, launch, and see the campaign through to a (hopefully) successful conclusion. 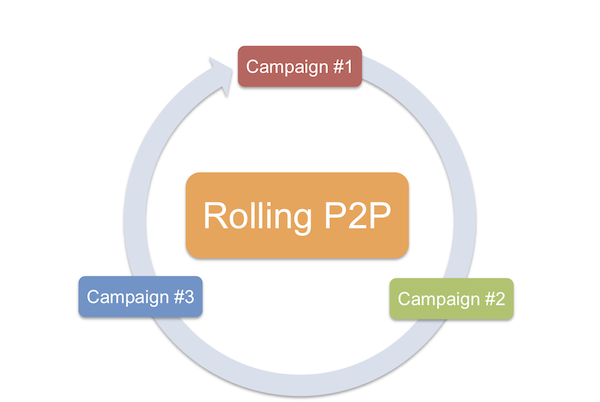 We’ve summarized the stages of a peer-to-peer campaign before, but here they are again so everyone is on the same page. After you finish planning your campaign (setting a goal, selecting a theme, etc.) you will move into the recruitment phase of the campaign where you will look to get as many fundraisers up and running as possible. We advocate splitting this recruitment phase into two halves: the soft launch and the hard launch. During the soft launch you recruit core supporters and get them fundraising early so you can build up some momentum before your broader launch. This helps establish a frame of success that will energize your wider audience during the main campaign launch and will help set the campaign off on the right trajectory. One way to leverage your In-Network social media influencers is to get them to help spread your message during the recruitment phase of your campaign. Of course, to do this, you need to identify them first. The easiest way to do this is to have the person who manages your social media accounts periodically take note of who shares your content most actively. Over time, you can accumulate a list of social media evangelists. You can also periodically scan your followers to see who has the most contacts and add high contact followers to your influencer list. 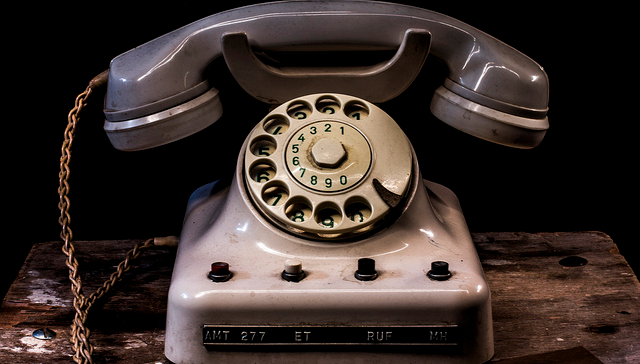 Once you’ve compiled a list of your In-Network influencers, you can use them like a megaphone to boost recruitment. Start by reaching out to your list during the soft launch period and ask them if they will help spread the word about your upcoming campaign. Then prepare some powerful content (videos, blog articles, etc.) to help promote the launch of your campaign. Make sure that each piece of content you create ultimately leads back to a call to action to join the campaign and start fundraising. When the time comes to launch the campaign to all of your supporters, send your influencers the first piece of campaign content and ask them to push it out to their networks. Follow this up with a couple other pieces of content throughout the rest of the 1-2 weeks of the recruitment phase. By proactively approaching your In-Network influencers before your full launch you can use them to help amplify your message, and hopefully, to recruit more fundraisers for your campaign. One of the most underappreciated benefits of peer-to-peer fundraising is its ability to help generate awareness. As a natural byproduct of having supporters share fundraising pages across their social networks, you will likely reach thousands of new people. Even though the majority of these people won’t become donors, you will still be able to plant a seed of awareness– awareness of your cause and awareness of your organization. As anyone who has ever worked in marketing can attest, this is where it all starts. One way to amplify the awareness effects of peer-to-peer fundraising is to target Out of Network Influencers to help spread your message. You might, for example, choose one or two points throughout your campaign where you rally your supporters to mass message a handful of Out of Network influencers you have pre-selected. Let’s say you know that local celebrity X supports your organization’s cause. You might have supporters message that person on social media to try and get him or her to share an awareness video you’ve made for the campaign. If the tactic works, you get exposure to a whole new audience of people (celebrity X’s followers). A variation of this strategy was used very effectively in the Kony 2012 campaign. As part of their plan to generate awareness of the atrocities of Joseph Kony and his Lord’s Resistance Army, the Invisible Children crew laid out a group of 20 “culture makers” and 12 “policy makers” for its supporters to message. They mobilized their massive social media following to contact the people on the list (everyone from Bill Gates to Bill Clinton) to get them to help spread the word about Kony. By strategically targeting people with massive social media followings they were able to push their message further faster. It’s probably unrealistic to expect that every nonprofit is going to be able to get the ear of Bill Gates, but the basic strategy is still sound. You just have to choose the right influencers to target depending upon your size and following. It could be a local news anchor that you know has a connection to your cause, a prominent local citizen, or anyone else who has a relatively large following that you think will likely share your content. Whether you want to boost your fundraising results or reach new pockets of people, targeting social media influencers can be an effective strategy to help you achieve your goal. Taking the time to chart out your social media plan before you launch a peer-to-peer campaign will help you improve your results. And while it’s not a standalone path to success, it is definitely an important piece of a larger campaign communication strategy.